One person was shot dead as fresh protests hit western Kenya, a day after a deeply-divisive presidential rerun. The restiveness in Kenya has continued to claim more lives. One person was shot dead as fresh protests hit western Kenya on Friday, a day after a deeply-divisive presidential rerun which was marred by low voter turnout and violence. The death toll has now risen to six. 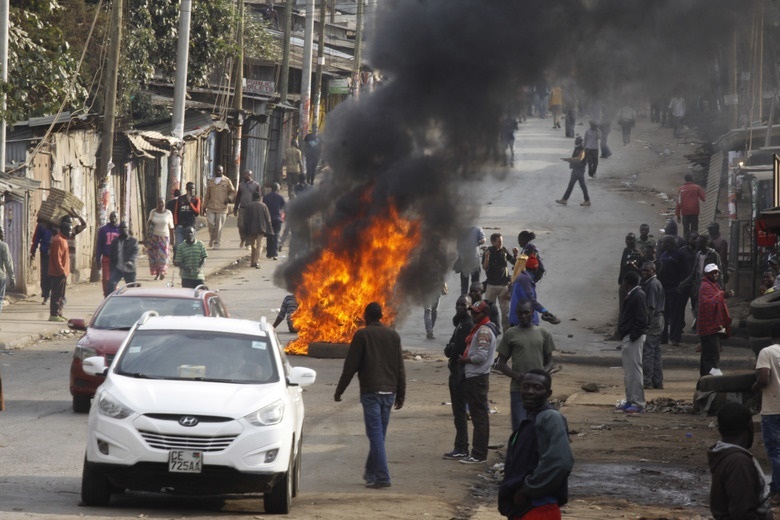 The latest bloodshed occurred as angry opposition supporters took to streets in several western towns to protest plans by the IEBC election board to stage a poll on Saturday in four areas where voting had been blocked by election day unrest. The region is a hotbed of support for opposition leader Raila Odinga, who boycotted Thursday’s vote in a move that has all but assured his rival President Uhuru Kenyatta a landslide victory. But as polling officials carefully counted the ballots, difficult questions remained over the credibility of an election boycotted by a large part of the 19 million registered voters, with initial turnout figures suggesting only a third of registered voters turned up. The country’s second presidential election in three months has sharply divided east Africa’s flagship democracy, and the result may spark further legal battles.